Mini diorama / Custom Foil Testing! So now I have some more space around thanks to having installed some new shelves, I’m starting to finally look into ways to create some kind of diorama. Here’s a small section of custom foil I’ve been working on! 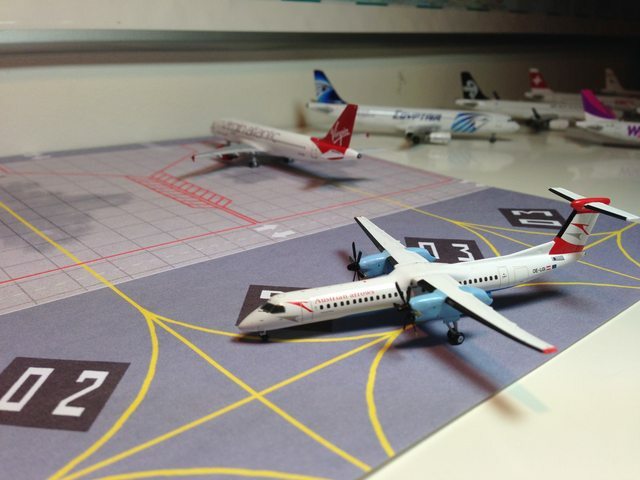 I’ve got a pack of GSE and Jetbridges arriving late this week so I shall be refining things further then. 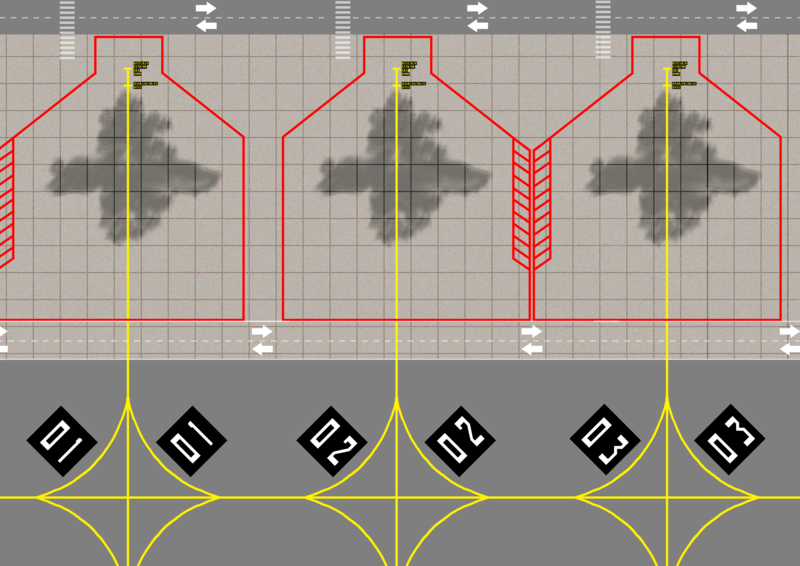 I’ve made it as detailed as I can so far, with taxi lines having accurate spacings for the models this section is designed for – all of which are listed as you would see in a real airport. 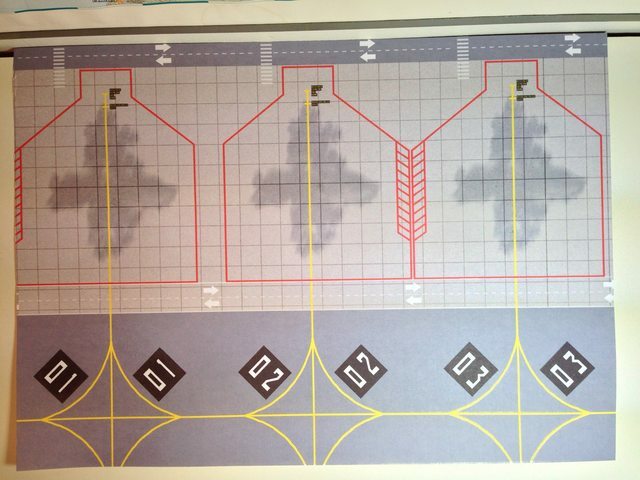 I haven’t kept markings particular to any place however, they’re meant to be ambiguous (at least for now). 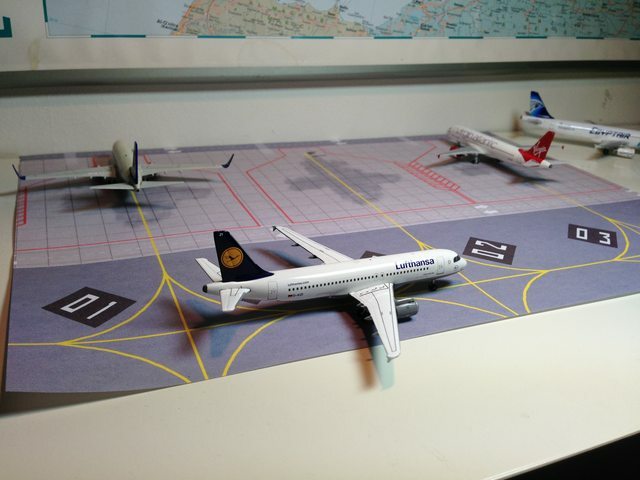 A Lufthansa A320 “pushes back” (Really want GSE for this!) 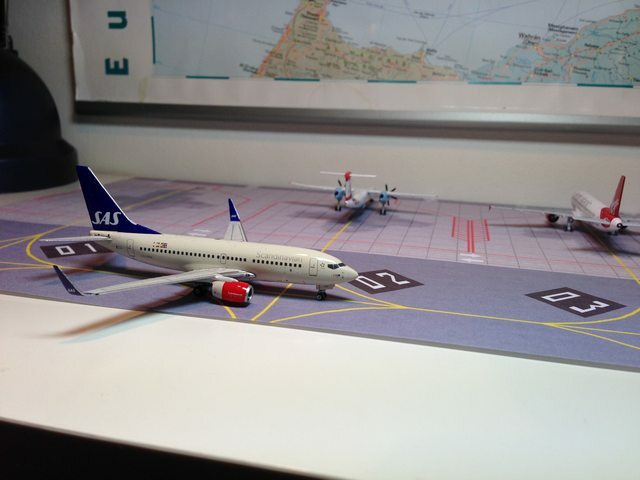 while an SAS B737 and Virgin A320 wait at the stand, preparing for their next flights. 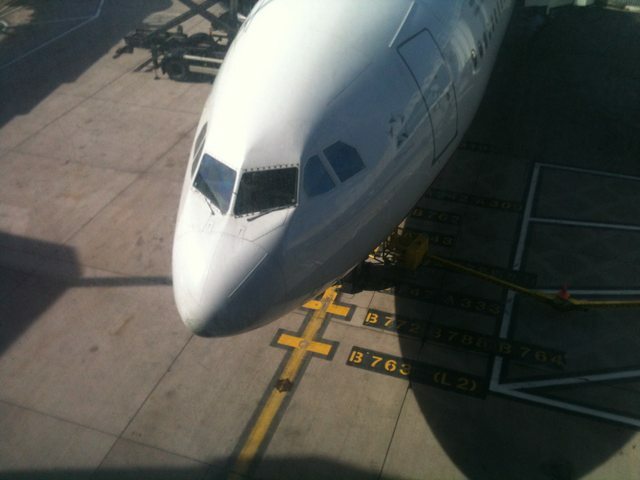 Engine start for the LH A320. 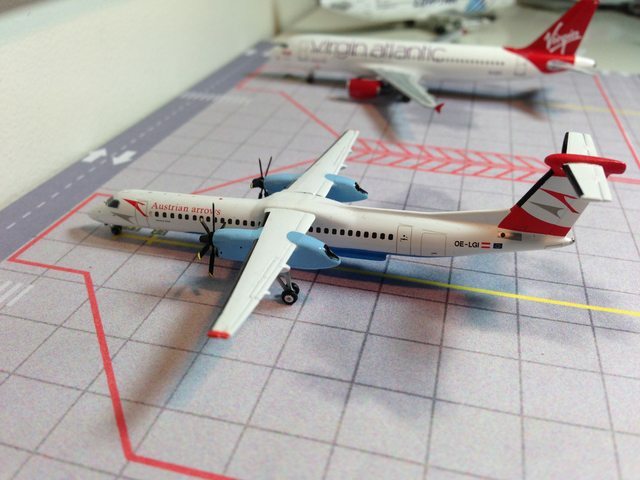 Soon after the A320’s departure, an Austrian Q400 takes its place at stand 02. 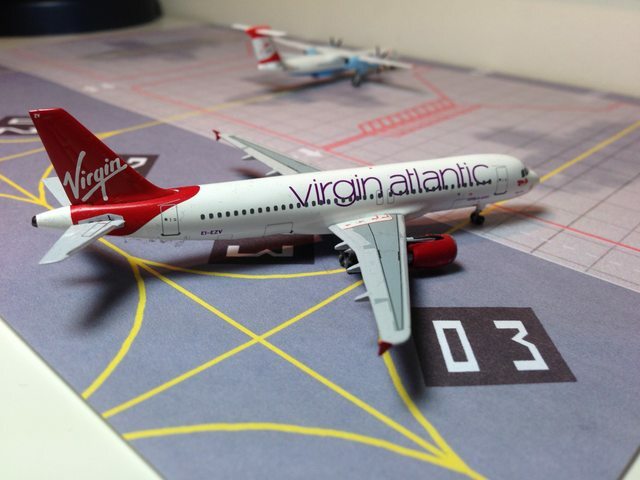 …Closely followed by the Virgin A320…. 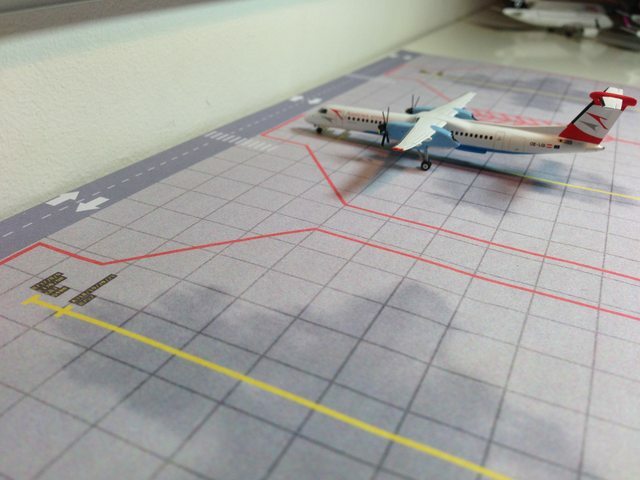 …Leaving the Q400 alone as it unloads. 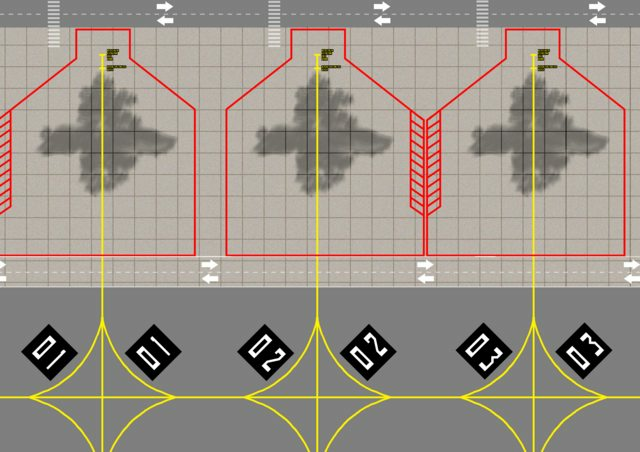 Note the small details on the taxi lines; each character is readable at a decent print quality, and is accurately placed for the models I have. 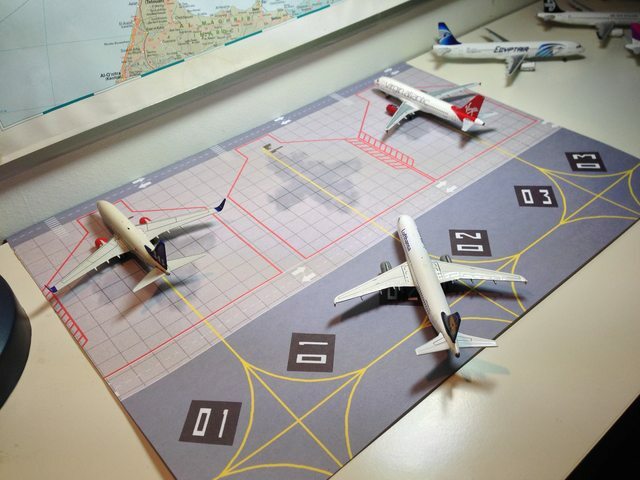 These were inspired by their real-world counterparts below. 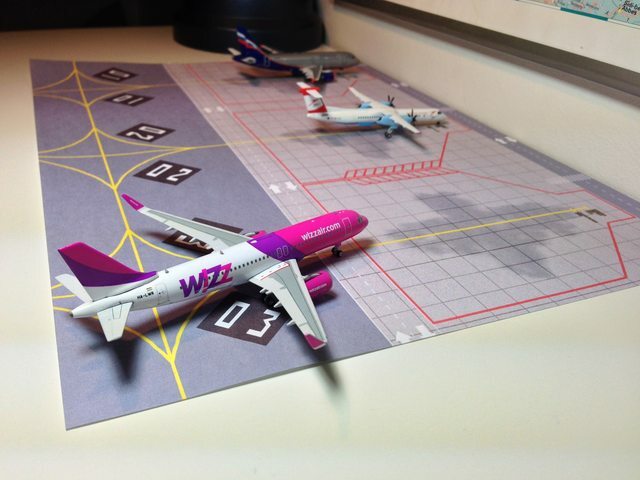 Finally, a Wizz A320 appears at stand 03; The last arrival of the day. Here’s the cleared foil as it is now. I’ve only printed it on standard A4 for now while I test it out but it’s already come out very well IMO. And for those who want to download this to try it out yourselves, you can find the (rather large) HD version at http://i.imgur.com/WGQxJFn.png. 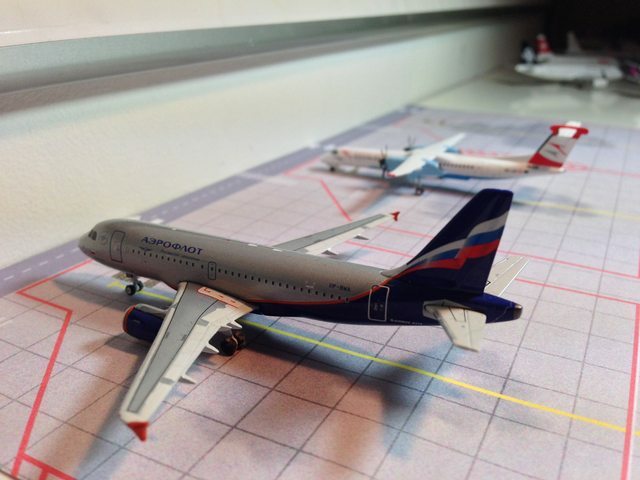 In order to get it scaled properly, I’d recommend printing it without print margins – it’s designed to fill a whole sheet of A4 so don’t change the scale or models won’t fit as well! Any thoughts are obviously greatly appreciated; What could I do to make it better? I am aware that the dirt right now looks horrendous, I’m still figuring that one out. 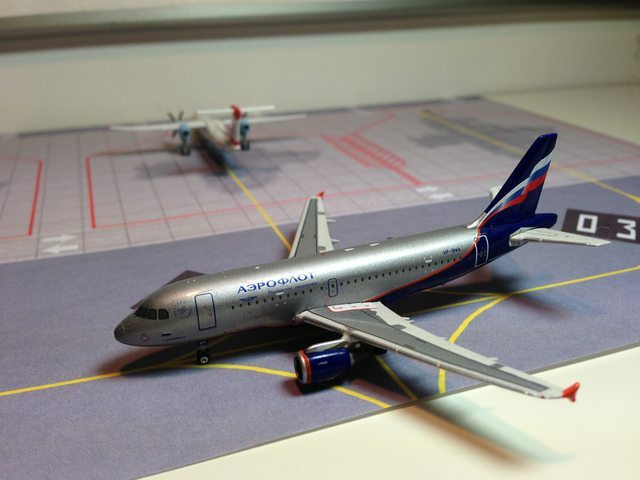 Next Post Updates and fun with dioramas!